It's not just athletic mountain bikers and ambitious racing cyclists who need breathable functional clothing. Many cyclists also prefer to have functional cycling clothes for regular bike rides and everyday cycling. 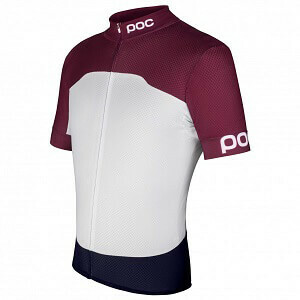 Breathable, functional cycling apparel is quick drying, which protects you body against cooling. The premium mix of elastic and robust synthetic fibre is highly movement friendly, easy to clean and comfortable to wear against the skin. For everyday cycling, you don't always need to wear the full kit, complete with cycling jersey and padded cycling trousers. Many of the functional fabrics that are generally used for outdoor clothing are also very well suited to cycling. Most cyclists prefer clothing which is as suitable for everyday wear, as it is functional for cycling. Special equipment like downhill clothing, for example, looks out of place in everyday life. Simple and functional cycling clothes are stylish without looking too sporty. Even everyday cycling can make you break a sweat. The bottom layers, worn directly on the skin, are the quickest to get soaked with sweat. Shirts or T-shirts made of cotton take a very long time to dry out again. But functional synthetic fibres are highly breathable and also far more quick-drying. Along with sporty jerseys and tops, manufacturers of cycling wear and outdoor clothing offer stylish blouses and shirts, which will also look great as everyday workwear. Cycling apparel brands like Endura, Gore Bike Wear or Pearl Izumi have created purpose-designed cycling clothes for those more athletic cyclists. These functional shirts for racing bikers, downhill mountain bikers and freeriders are all designed with the relevant sport in mind and may only to some extent be suitable for everyday wear. Rainy or windy weather can quickly make your bike ride seriously uncomfortable. A waterproof biking jacket will protect you, even from strong rain, and will keep your head and upper body dry. The breathability of cycling jackets ensures good ventilation, which means that moisture will evaporate more quickly. Waterproof jackets may offer good protection against rain, but they cannot wick away moisture and perspiration, which means they are not ideal for sports cyclists. Hardshell jackets made from breathable materials like Gore-Tex are much more suitable. Long-distance riders and regular cyclists swear by waterproof rain ponchos for rainy conditions. On long cycling tours these ponchos offer good protection against the rain. But for everyday use they can be unmanageable and impractical because of their shape. A breathable functional fabric like Gore-Tex is also the first choice for waterproof trousers for cycling. Preformed knees guarantee optimal manoeuvrability when riding. The full length side zips are another highly practical feature. These enable the wearer to get the waterproof trousers on and off quickly and comfortably, without the need for removing their cycling shoes. The side zips should also be waterproof. Many waterproof hardshell trousers are equipped with waterproof zips to give you even more protection. Cyclists can wear their everyday trousers or work trousers underneath their waterproof ones. 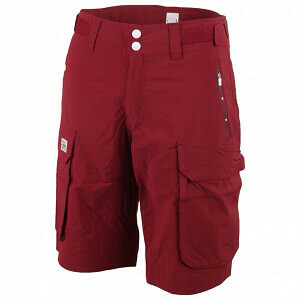 Removal is simple and easy thanks to the side zips, and your fabric trousers or jeans remain comfortably dry underneath. For everyday bike rides specialist cycling shoes are not absolutely necessary. While racing bikers need to wear appropriate road bike shoes, because they generally use clipless pedals, for general cycling and everyday riding robust sneakers or sports shoes are adequate. Waterproof sports or outdoor shoes are a good choice all year round and in any weather. If your shoes are not waterproof, universal waterproof cycling overshoes can be used. They fit comfortably in your pocket and keep your shoes and socks dry in the rain. Nothing is worse than ice-cold hands when cycling. Even in only moderately cool temperatures, air streams can make your fingers incredibly cold, and when it's also raining you can quickly get very uncomfortable while out riding. Cycling gloves and outdoor gloves for cyclists guarantee comfortable warmth and also give you optimal grip on the handle bars. Everyday cycling gloves should not be lined too thickly, so that you don't lose your sensitivity for the handlebars, brakes and gears. Windproof cycling gloves with windstoppers provide more effective protection against air streams and cold, than pure wool or fleece gloves do. Waterproof cycling gloves with a breathable Gore-Tex membrane guarantee warm and dry hands in the rain. A non-slip palm ensures the optimal grip and perfect control for cycling.